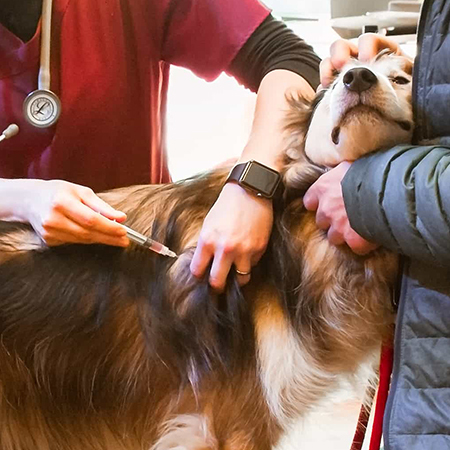 Vaccinations are the best weapon against many viral and bacterial infections, as they prevent deadly diseases like canine parvovirus and rabies. Vaccinations are vital to pet health and should be administered to every animal. It’s important to administer vaccinations while your pets are still puppies or kittens when their young immune systems are still developing and need protection to stay healthy. Keep your family member safe by scheduling their vaccinations today! Call us at 907-268-3379 or make an appointment online.